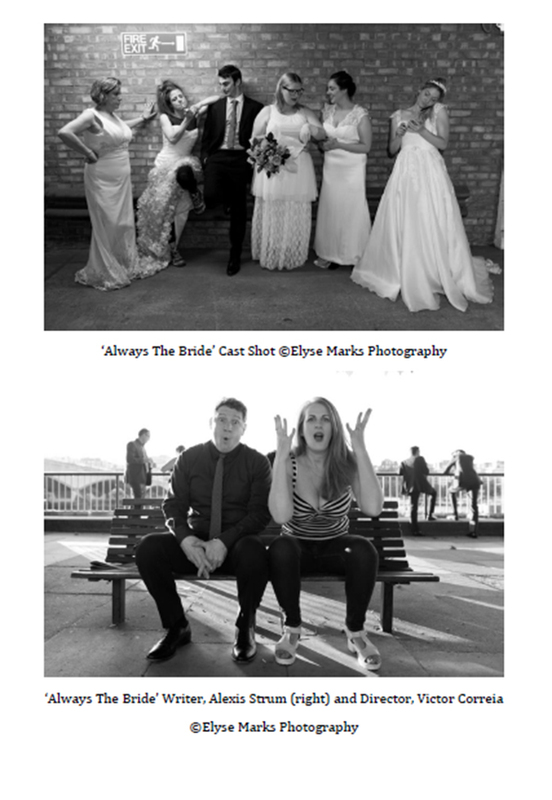 Always The Bride is an oddball comedy about control-freak Shauna and the ladies of her secret suburban community, all of whom have a very bad case of PWDC (Post Wedding Day Comedown). They meet in secret to wear their wedding dresses and re-live their big day. However, will their cover be blown by the arrival of reluctant new recruit, Lisa? 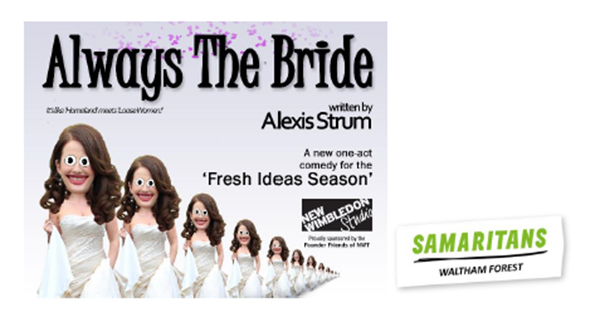 Alexis Strum, a comedy writer and erstwhile songwriter for the likes of Kylie Minogue, Rachel Stevens and TV’s ‘The Inbetweeners’, brings her debut one-act play, ’Always The Bride’ to the New Wimbledon Studio Theatre as part of their ‘Fresh Ideas’ Season for emerging playwrights. All profits from these performances will be going to the charity, Samaritans Waltham Forest, so you can laugh your socks off and rest assured that you are raising money at the same time! 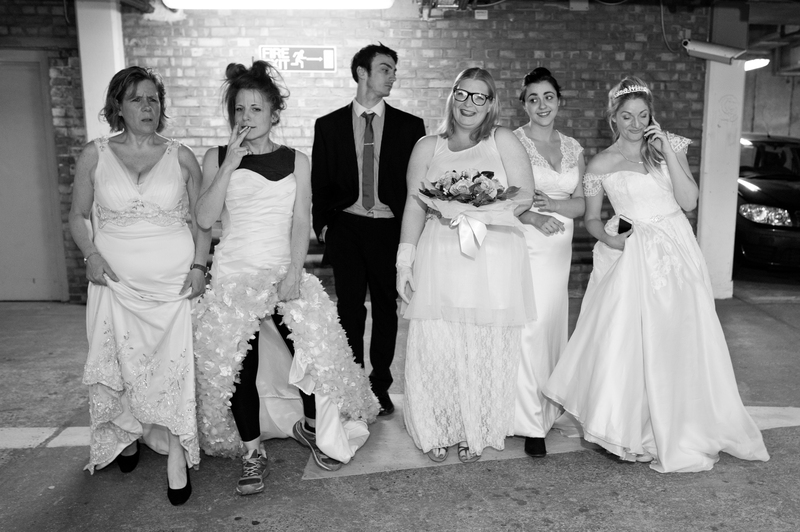 All wedding dresses for the show have been kindly provided by Wimbledon’s finest wedding dress designer, Shanna Melville and the result is one very funny wedding comedy! 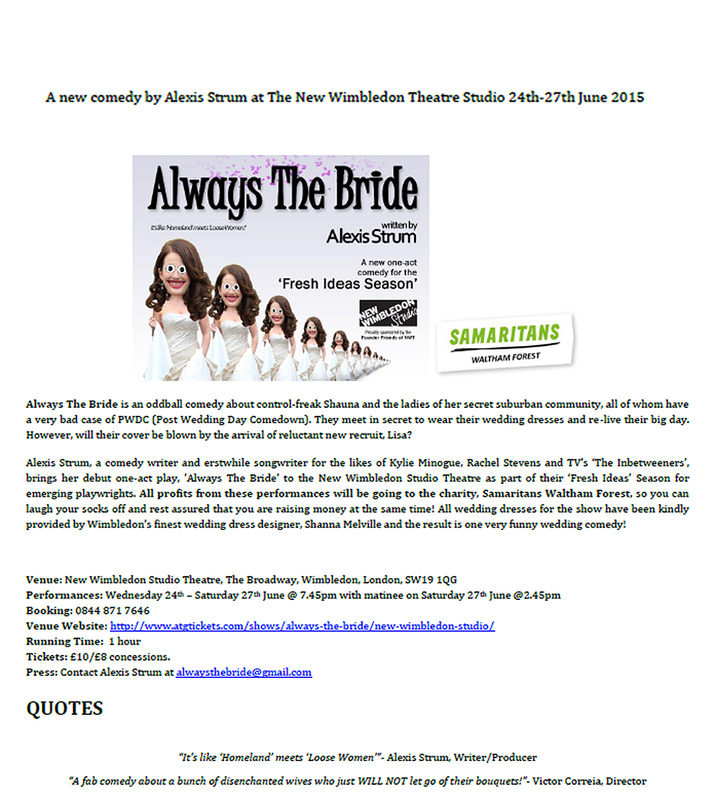 This entry was posted on 18 June, 2015 in homepage and tagged Alexis Strum, Always the Bride, Comedy, suburbia, The New Wimbledon Theatre, Victor Correia, weddings. Bookmark the permalink.